Chocolate containing minerals such as calcium, magnesium, iron, zinc and copper has prophylactic effect on cancer and heart diseases. In the survey conducted by German Institute of Human Nutrition among approximately 19 thousand adults on their nutritional habits, it is found that people who eat 7.5 g chocolate every day has lower blood pressure and their heart attack and stroke risks are 39% less. Chocolate contains phenyl-ethylamine (PEA). Phenyl-ethylamine stimulates the nervous system, triggers the release of some secretions, relieves pain and makes people feel better. 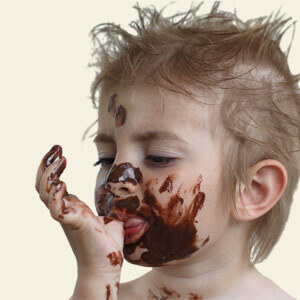 Chocolate accelerates serotonin level in brain and gives the feeling of happiness. Chocolate soothes and relaxes the brain; gives happiness, causes the brain to release endorphin. This excretion provides us to feel happy. As a result, along with many benefits of chocolate, it shouldn’t be ignored that chocolate contains high level of oil and sugar in it. For this reason, it has to be carefully consumed in daily nutrition and chocolate types with high cocoa content should be preferred.